Enjoy martinis and conversation around the big oval bar or grab a booth around the sides. The piano in the back often hosts crooners of varying degrees of success. A piano bar through and through. Their piano karaoke is par none, so be ready to belt. Besides it being way to dark, at least the martinis keep me coming back. This place is great if you are looking for a relaxed environment, friendly people and big martinis. It is my favorite place to party in San Fran. Enjoy watching and hearing the others sing at the piano bar, some are good and some are bad, either way it's always entertaining. Went there and a great woman was on the piano and everyone sings along drinking massive martini around small tables wirh csndles .... i loved it!! 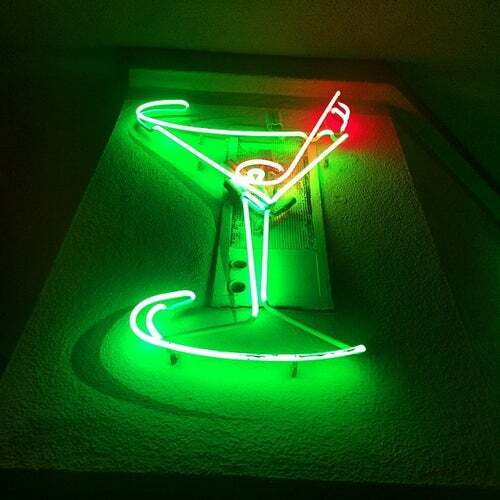 The martini's are mixed very well, and the bartenders are very attentive and knowledgeable. Some guys at the piano can sing really well, though most are average. It's a good place and I'd like to give it more than 3 stars, but if you're visiting, I would recommend hitting up other places - Martuni's isn't very close to other bars, so you can't just move next door if you aren't feeling it. This is one of the best spot to get drinks after work, or a late-night cap. The drinks are strong and reasonably priced. Very friendly and lively crowd, that will definitely entertain your night away! Mostly they serve vodkatinis in many flavors. They are delicious, but you really should call your brand. The stuff in the well never agrees with me. The back room is a dark, charming place to take a date and make out at one of the little tables. The pianists are usually good and it's a lot of fun when the partyers take the microphone. Not so much fun when one of the career amateurs gets up to "audition." There is only one toilet here and it locks, so keep an eye on the queue if you feel the urge. I can't say enough good things about Martuni's! It's a faggy piano bar! I'm happy that such places still exist in the world. What's more the management had done it exactly right. The drinks are first-rate, the decor is absolutely beautiful, and the pianists are top quality all the way. In the back room, you can sit at the piano and take turns singing to the piano each night until way late. Be on the lookout for Katy Stephan, first-rate vocalist and songwriter. She's world class quality. Martuni's is the place to go with your foofy hairdresser and fashion model friends, or with your best buddy. The customers always seem friendly, the bartenders are great, and sometimes you're treated to performances by folks such as the cast of Beach Blanket Babylon. A MUST SEE! I was only here once but I totally loved it. When I feel like getting a little more dressed up Martuni's is where I head. The decor is very upscale and the back of the bar has a piano player and singers. This place draws an entertainment crowd and I have heard some great stories there. The martinis are awesome but are getting a little pricey. You find all age groups here and it draws a mix of gay and straight people. If you have an itching to sing, this is the place your unhidden talent could be discovered! My partner and I love Martuni's because it is great fun to listen to the piano player's patter and the bar can attract quite a high caliber of singers for its continuous open mike. The down side is that the fun depends on the quality of the piano player, and our favorite retired a couple years ago. But still, a lovely place to sit and listen to music.